During the summer I had the opportunity to work alongside my math friends implementing foundations of algebra professional learning sessions. Although I was the one conducting some sessions, I also put myself in the position of a learner. 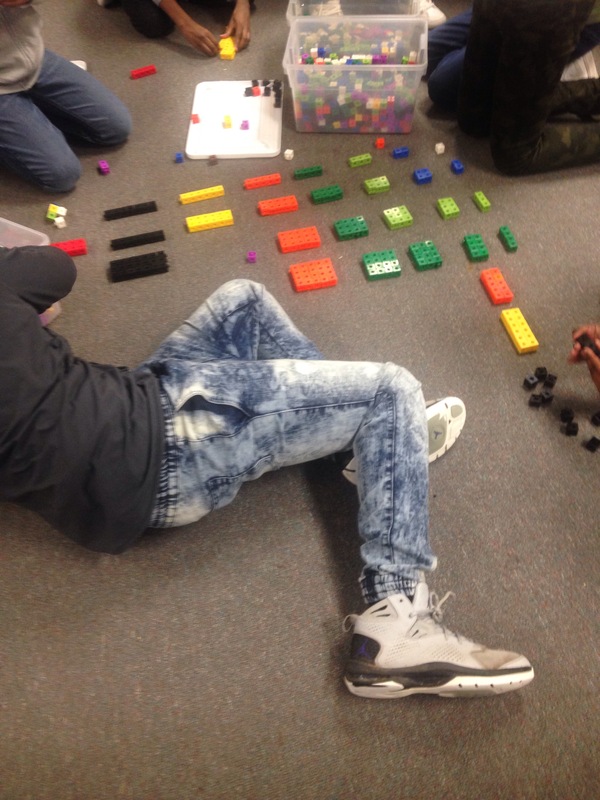 One of my takeaways was using the Pythagoras Square to help build conceptual understanding of square and cube numbers as well as square roots and cube roots. So Wednesday morning when I was asked to cover an 8th grade class (the teacher was out and there wasn’t a sub to cover) I gladly abliged. 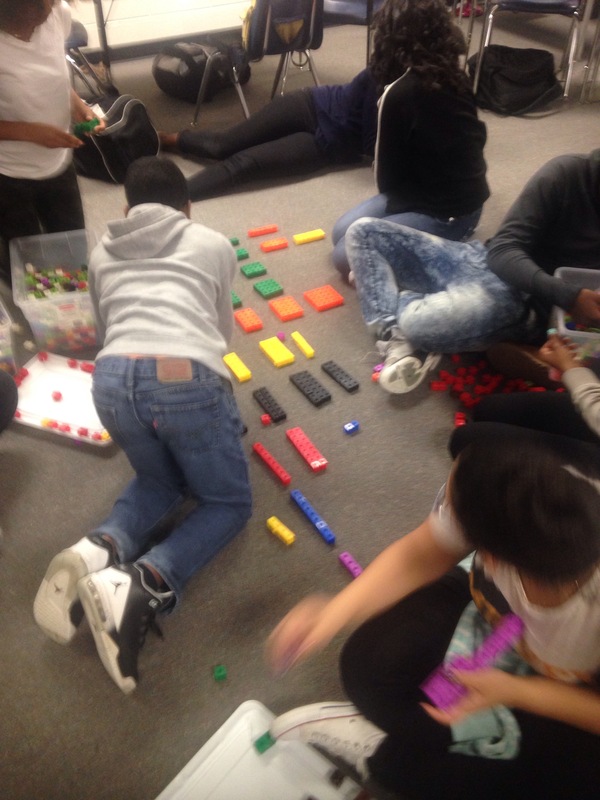 They are working on simplifying radical expressions and the primary means of introducing this idea was through the use of prime factorization. I wanted students (and teachers) to understand the why behind the simplified solution. When students came into class from connections they were asked to view this model and record what they noticed and what they wondered. Students’ notices included: the different colors, it looks like an arrow, the figures getting larger and the similarities of a multiplication table. A few students wondered if the model could be extended. So I asked a few to jump in to help extend the model. We didn’t complete the entire square due to time. 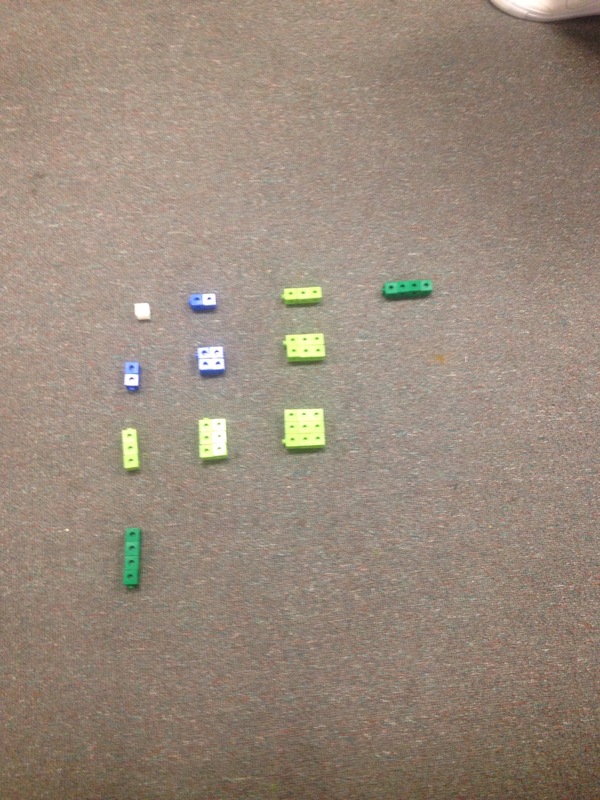 However, we did take the time to focus in on the perfect squares and their lengths. 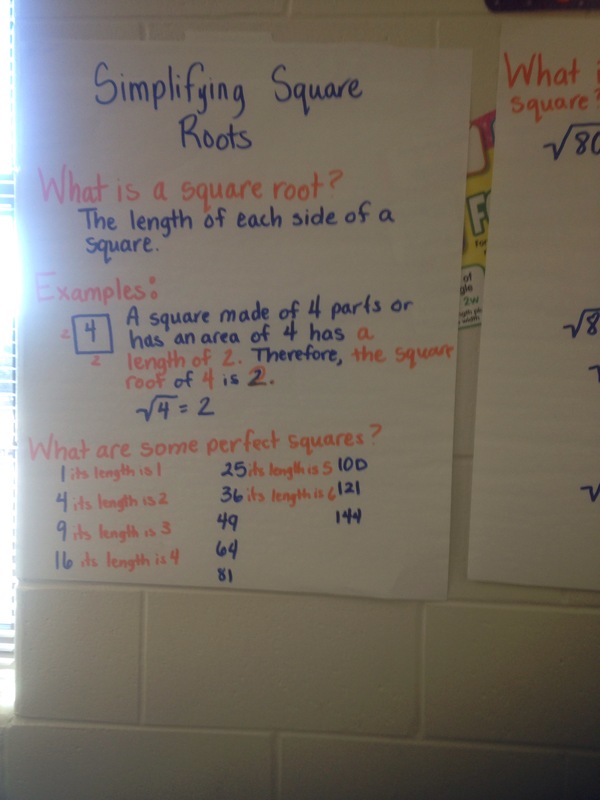 We were able to make the connection between the area of the squares and the radicands and the lengths of the squares and the square roots. From there we jumped into simplifying radical expressions. We discussed identifying factors of the radicands and determining which factor pair contained a perfect square. We concluded the lesson by students completing 10 problems on a worksheet left by the teacher for the substitute. I looked over the papers afterwards and realized some students didn’t quite understand how to write the answer once they determined the square root. For example, they would record the square root of 64 as square root of 8, not just 8. 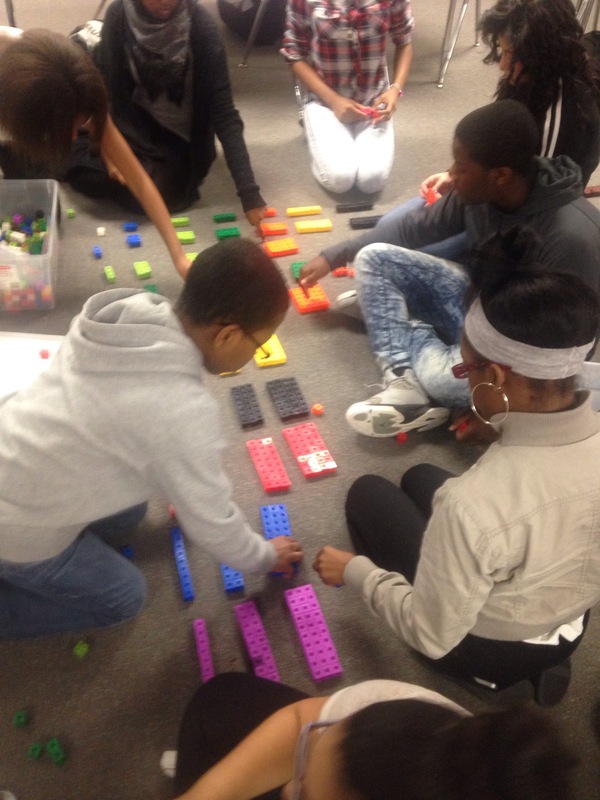 Other students needed help making the connection of identifying the perfect square strategy to the prime factorization strategy. Anyone who has followed for a while could guess my next step, pulling small groups. 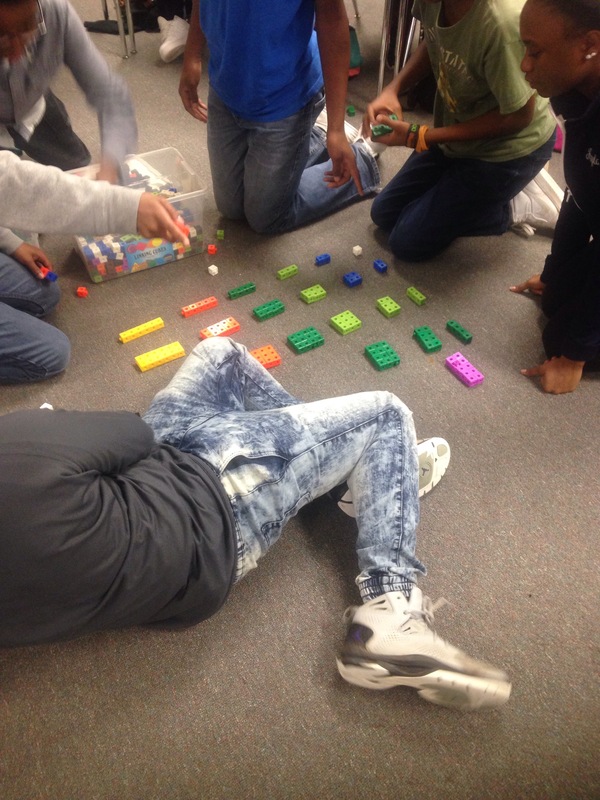 Within the groups students built squares using color tiles as we discussed square numbers and square roots. 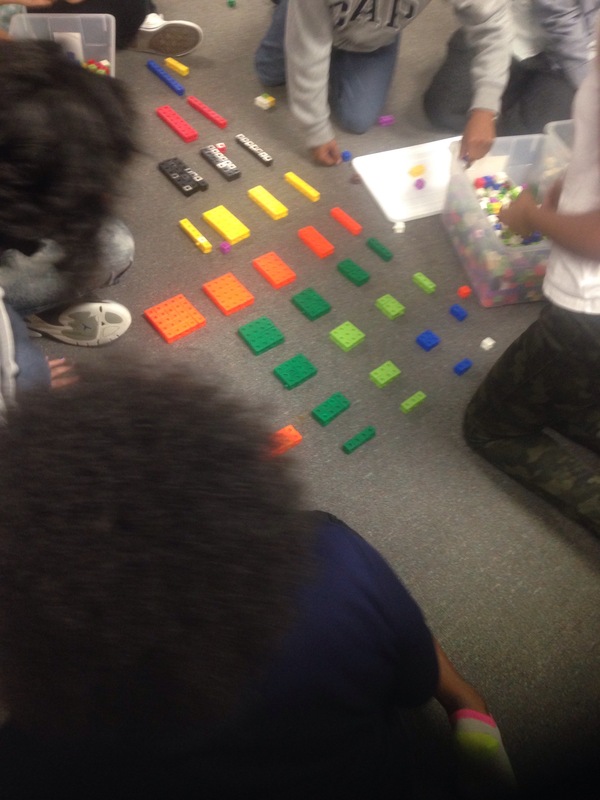 For students who recorded answers inaccurately we looked at a square made of 9 color tiles. By determining the length students were able to see why that answer is recorded as 3, not square root of 3. 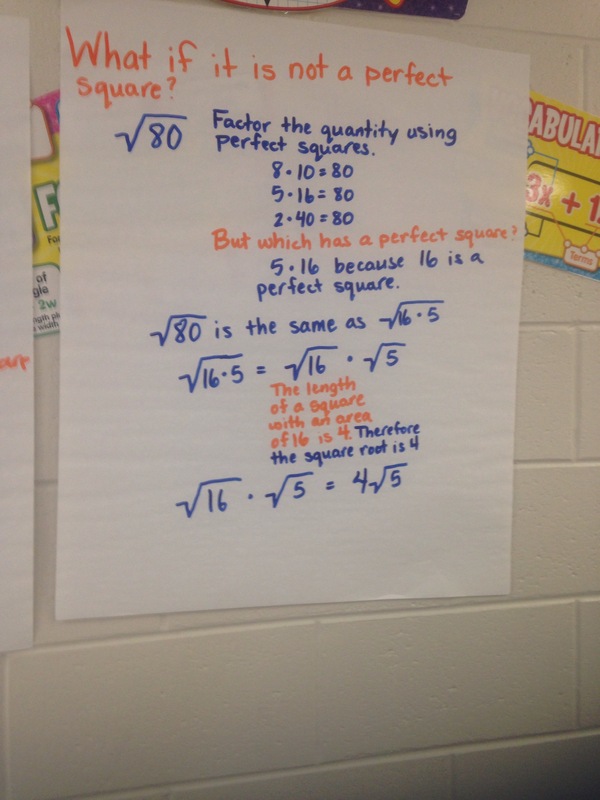 For students who needed to make a connection between identifying the perfect square and the prime factorization strategies, we looked at how the prime numbers can show the lengths of the perfect square. I’ll have to check with the teacher to see how students faired on the common formative assessment given on Friday. If you ask any teacher what is their number one enemy, they would most likely say, “Time!” I wanted to wrangle the moving decimal point in 8th grade, however, time did not permit. But you better believe when the time comes for me to lasso that decimal point and park it in its proper place, between the ones and tenths places, I will use this lesson along with this activity.